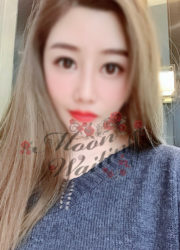 New Lovely Chinese Student *YoYo* First Time in Toronto, 19Yrs C-Cup 100% ALL NATURAL! She Likes to Obey, Please and Satisfy your Command. A Real Traditional and Good Manner Chinese Girl. Come and Taste This One of a Kind Chinese. You will Fully Love her Style. You Won't Regret to See Her. You Will Want her to Be Your True Girlfriend. Short Term,Non-Smoker, No-Tattoo, All Natural! !